Jacqui Jackson shares how she has adapted to and overcome the many physical and emotional challenges she has faced while parenting her seven children, four of whom have serious physical, emotional, and mental limitations. Luke (author of Freaks, Geeks and Asperger Syndrome) has Asperger Syndrome, Joe has ADHD, Matthew has dyspraxia & dyslexia, and Ben has autism. 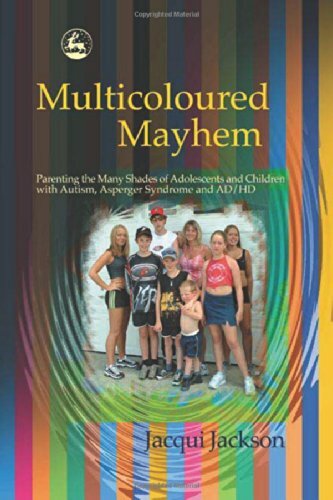 Book explains what it is like to parent young people with such a range of conditions, and provides helpful and creative advice for other parents and carers.